"people don't talk in numbers"
karen spärck jones, the video/audio. finally. today, in the morning, they must have shown the in advanced taped video of karen spärck jones in memoriam of karen spärck jones. so far i couldn't find a copy and the sigir farcast reporting is kind of mau in regard to content. videos of information retrieval talks at the research channel video library (a place to keep in mind). 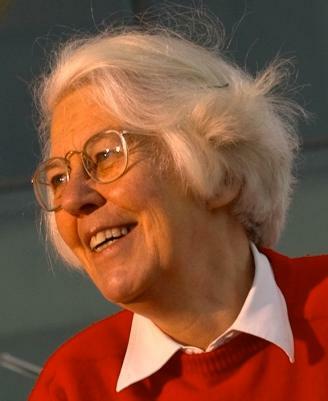 1935 – april 4, 2007.
she taped her athena lecture, an award "that honors women who have made fundamental contributions to research" in foresight. it will be heard at the 30th annual international ACM SIGIR conference on research and development in information retrieval in amsterdam. (23-27 july 2007). a short snipped of karen spärck about the semantic web, which she called a naive approach driven by computer scientists, who don't know what they are talking about. at least 2004, when i met her, she didn't believe that knowledge can be captured by ontologies; - and i expect, this lady and grande dame of the linguist society didn't change her opinion easily as she was a true source of knowledge.